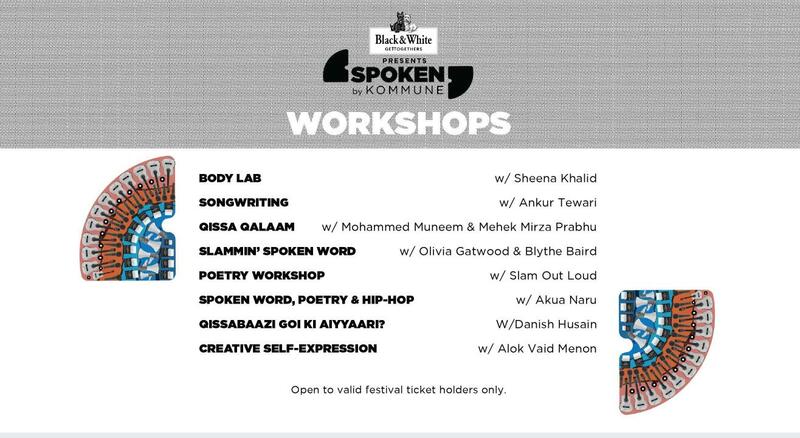 Delve into the world of button poetry, immerse yourself into the art of songwriting, explore the realms of fictional storytelling and express yourself in ways unimaginable with everything that the workshops at Spoken Fest have to offer. Come harness your imagination and creativity to express the stories waiting to be told. Calling out to all aspiring storytellers, budding poets, musicians looking for a beat to make hearts dance and everyone who belongs at Spoken; Come engage, learn and celebrate with the best minds of this industry. Register for the workshops here.